The Pixel XL runs a Qualcomm Snapdragon 821 processor, 4 GB RAM and Android 7.1 (Nougat). Just about every Android phone that you use is a compromise—it has been customized unnecessarily by phone makers. The Pixel “Phone by Google” remains the only option for those who want a pure Android experience. Google (actually, the phone is made by HTC, but let’s just gloss over that) seems to have taken some inspiration from the Apple iPhone—the earpiece design, the bezels, the curves and even the antenna lines are all reminiscent of the iPhone. A lot of people have criticized Apple for not reducing the footprint of the iPhone 7 Plus, but clearly haven’t noticed the similar dimensions of the Pixel XL. Therefore, it may come as a surprise to many that the Pixel XL and the iPhone 7 Plus feel similarly long and wide, and equally heavy, in real-world use. In fact, the iPhone is significantly thinner, and so is last year’s Nexus 6P (made by Huawei). Flip the Pixel XL over, and the dual finish of glass and metal looks interesting. It’s quite perplexing, though, that the Pixel is not waterproof, unlike many of its Android rivals. The Pixel XL runs a Qualcomm Snapdragon 821 processor, 4 GB RAM and Android 7.1 (Nougat). The performance is fast and this is pure Android at its very best, with smooth scrolling, no lags and multitasking at its very best. The other big advantage is that the battery life is absolutely fantastic, and you can get through two days on a single charge (3,450 mAh battery), something unheard of in most Android phones. The greater control over the hardware has allowed Google greater leverage at optimizing the software. While Google’s take on clean Android is appreciated, some app clutter still needs to be addressed. For example, the line-up of messaging apps is perplexing—Messenger for SMS, Hangouts, Allo and Duo. The 5.5-inch AMOLED display (2,560×1,440 resolution) is crisp, the colours are bold, the brightness levels fantastic and the blacks, deep. In sunlight, the reflections do still play a part, but that isn’t a deal-breaker. The 12.3-megapixel camera is where Google has put in a lot of effort, with impressive results. It matches the excellent iPhone 7 Plus’ camera in most shots, and even manages to better the detailing levels sometimes during daytime shots. If you compare the photos, the iPhone’s photos look more natural owing to the way post-processing algorithms work. Google Camera is now faster when handling HDR processing, but there is still a noticeable lag. The Pixel XL is impressive in most critical aspects—performance, camera and battery life, as well as the attraction of the unadulterated Android experience. 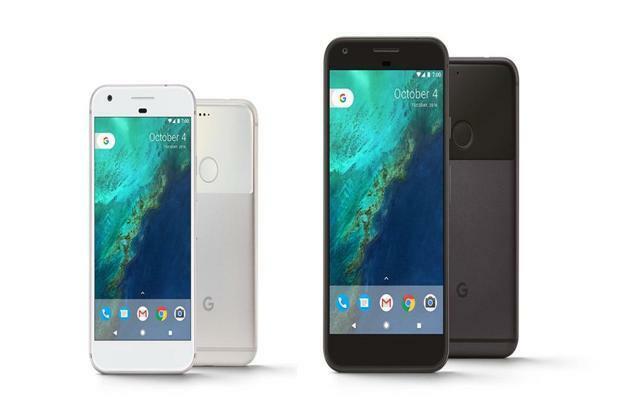 The potential problem is that the Pixel XL is priced very close to the Apple iPhone 7 Plus—and for someone who isn’t platform-loyal, the iPhone still seems a safer bet.